Families, couples, campers, caravanners, backpackers and flashpackers - we have a range of accommodation options to suit your style and budget. 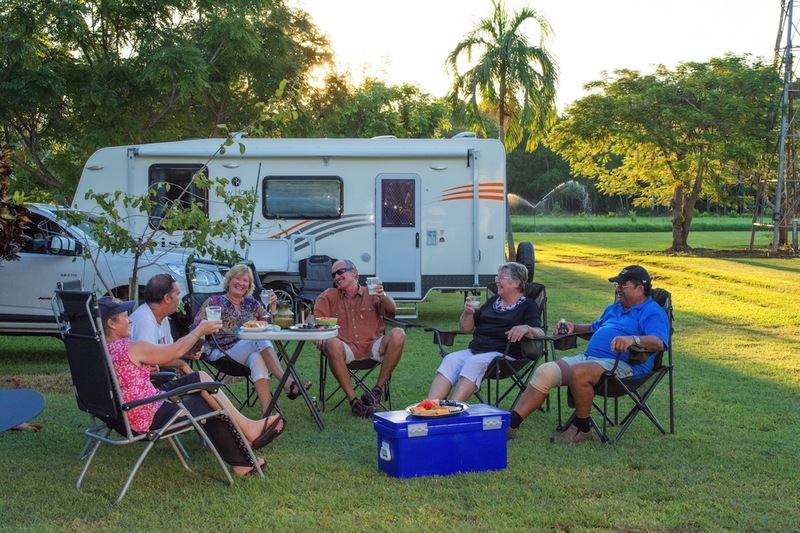 Enjoy the landscaped surrounds and relaxed atmosphere of Litchfield Tourist Park. Check out our Park Facilities for more info. Peruse our various accommodation options. Click on the link to check availability or make a booking. For your private use only. 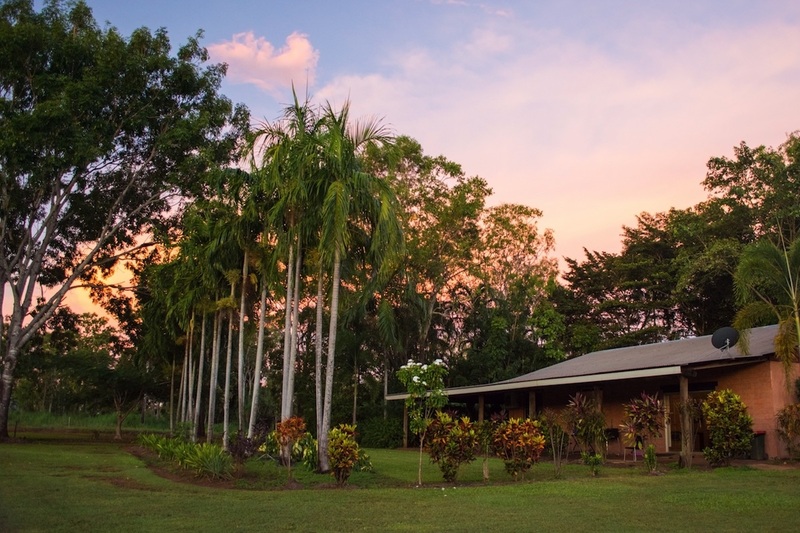 This is NOT share accommodation, which makes it ideal for large families and groups, the Homestead sleeps up to 15 people. The large verandah makes a relaxing place for your group to sit back and recuperate after a days adventuring whilst enjoying a cold beverage and sunset views. No parties please, we do not cater for any loud noises after 9.30pm. Relax with your family or friends in two bedroom Ringer's Cabins. Set amongst the trees with large outdoor living spaces they allow you to make the most of our Territory lifestyle. The standard Ringer’s Cabin can sleep up to a family of 5 with one trundle bed. The Large Ringer’s 2 Bedroom Cabin is slightly larger to cater for families of up to 6 members. 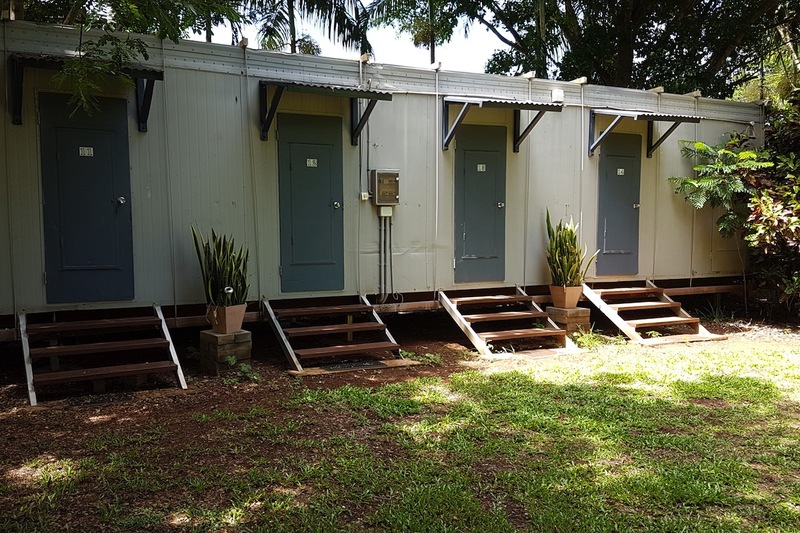 Hidden amongst our tropical gardens these small cabins are a perfect fit for singles or couples who like the convenience of their own bathroom. Overlooking the Park’s swimming pool and a close walk to the park’s Bathroom Complex these quarters are ideal for travelling families and friends. Ideal for those Jackaroos and Jillaroos that are backpacking around this great land of ours. Donga style accommodation with linen and bath towel provided. Check in from 12 noon, last arrivals by 8pm please. We have shady sites, sunny sites and some with a bit of both. When you check in we give you a map and let you choose your own site to suit your needs, because of this you may wish to check in earlier in the day when there are more options available.